HBO’s documentary, Paycheck to Paycheck: The Life and Times of Katrina Gilbert, debuts this Monday. According to the film, Katrina is one of 13 million mothers of young children living in or near poverty. Katrina is a twenty-something mother of three children. She recently separated from her husband because of his addiction to pain killers. She is the sole breadwinner for her family, and works as a Certified Nursing Assistant for just under $9.50 an hour. 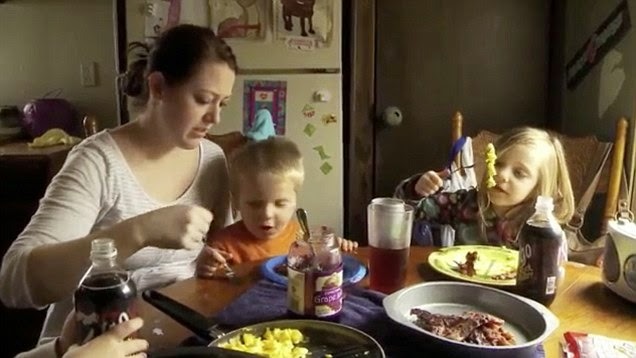 Even with government support – food stamps and reduced-cost daycare, Katrina finds it hard to make ends meet; thankfully, her landlord accepts monthly payments. Katrina is motivated to improve her situation; she tries to find companionship, and also tries to enroll herself into college, but struggles accessing financial aid. Katrina has a lot of courage, but faces intimidating obstacles. How is This Relevant to Foster Care? Many kids who enter foster care are removed from single-parent homes. Also, many kids who enter foster care come from low-income families. 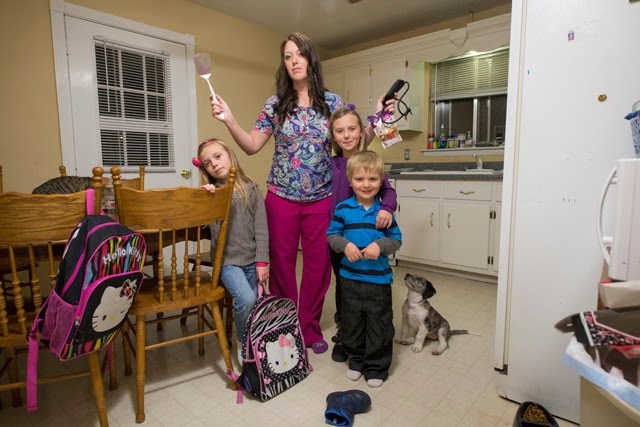 Katrina works very diligently to keep her family functioning, and she succeeds. What strikes me in this film, though, is how little room for error she has. She is often only a few days of missed work away from failing to make her rent, she has limited or no resources for emergencies, minimal time to rest, and frequent involvement with government contractors (daycare providers, etc.). When kids are taken into foster care on charges of neglect – I wonder how many times neglect has actually occurred, and how many times a family like Katrina’s has simply been unable to come close enough to societal norms to avoid being noticed by the child protective services system. Admittedly, this might not be a fair question. Child protective services departments are able to offer family preservation services, and in theory (hopefully in practice), this avoids removing children from their homes. Once the system is involved, though, the margin of error can become very small. This documentary portrays Katrina as a young, responsible woman facing challenges with a mixture of hope and discouragement. It normalizes and humanizes an experience of life which might be unfamiliar to some folks considering foster care. Paycheck to Paycheck isn’t a movie about foster care. It doesn’t even get mentioned. But – if you’re reading this review, you’ve probably got some interest in foster care, and I think this documentary would be worth seeing. It’s a good choice for current or prospective foster parents, who might be helped by understanding the challenges faced by single, low-income parents. What were the circumstances surrounding how your children came to be in foster care, or placed for adoption? What is the backstory of those circumstances?